Who's a fan of Halloween? Well, I hope all of you said yes. This is the start of many more Halloween collections to come! 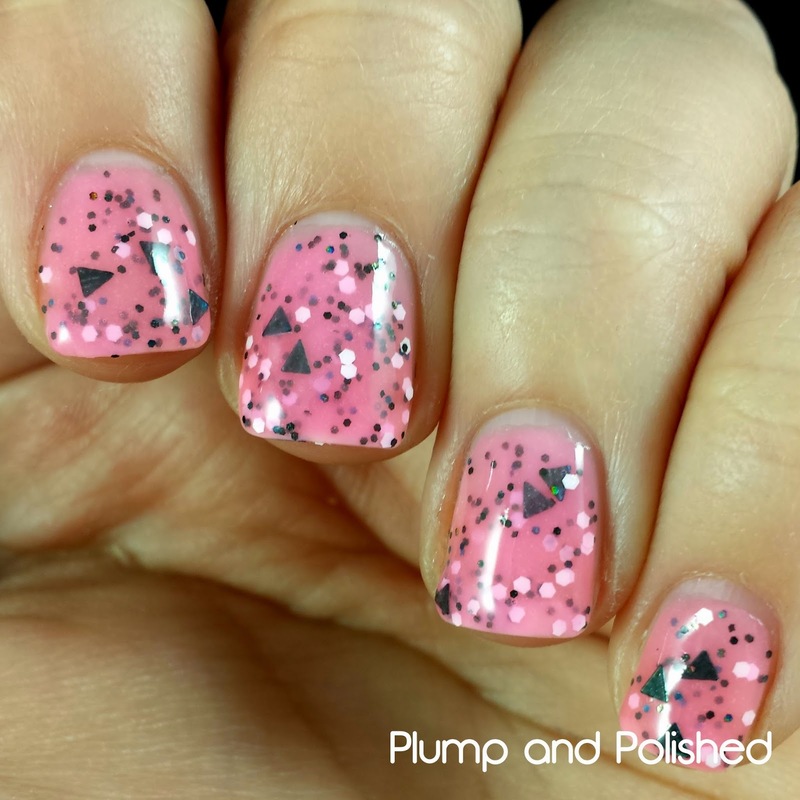 Up first, I have two polishes from the newest collection from Spellbound Nails. Give Up the Ghost Collection aka The Casper Collection. I loved Casper as a child and fondly remember the ghost toys. For a crelly, this built up nicely. I used three thin coats for good coverage. One swipe of top coat smoothed it over perfectly. For the life of me, I couldn't get a glow in the dark picture. I need to upgrade my camera! This glows super bright. I could see it glowing in dim light. 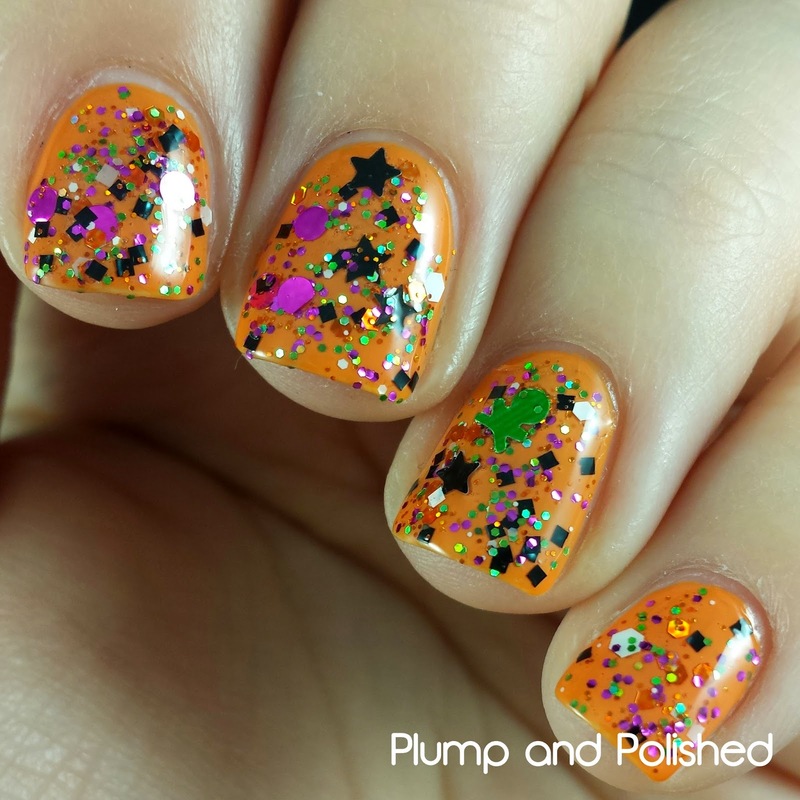 This glitter topper is jam packed! I used two thin coats for this look. I wanted as much glitter as I could get without it looking too chunky. This did just fine. 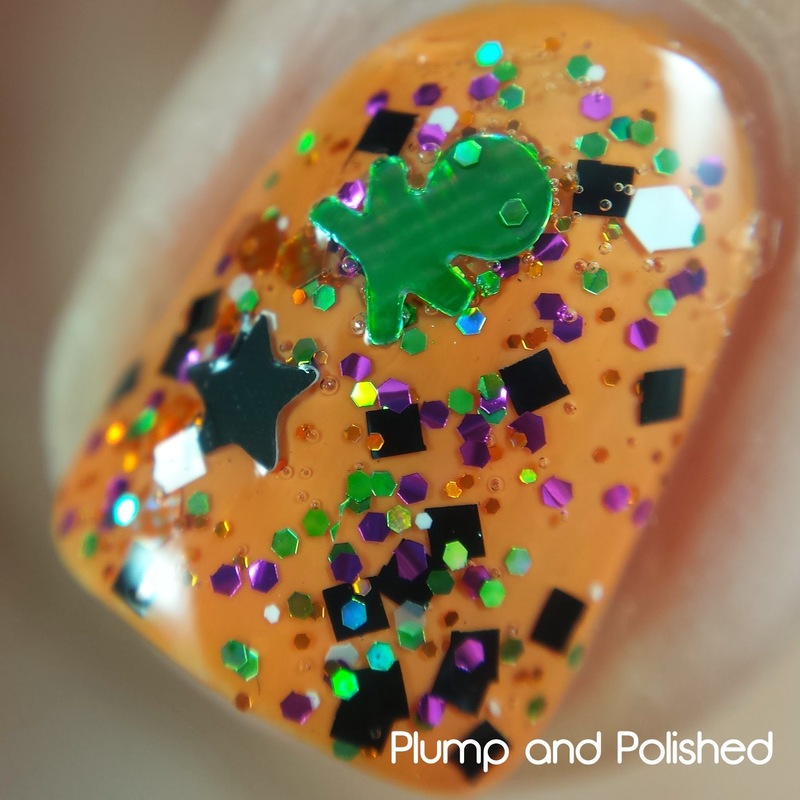 One coat of top coat smoothed over those big glitters. This is Halloween in a bottle. The colors are perfect and you could layer this over a million different bases! 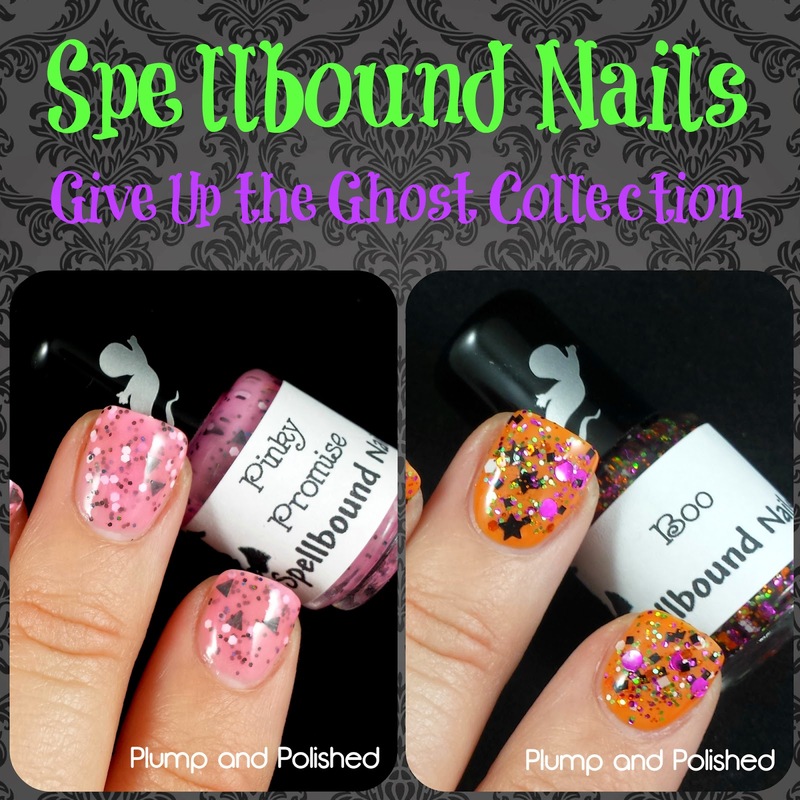 Spellbound Nails can be purchased here. Give Up the Ghost Collection will be released on September 27, 2014 and consists of six polishes. The full size collection is $53.00 USD plus shipping and the mini collection is $22.50 USD plus shipping. Don't forget to follow Spellbound Nails on Facebook to get stock updates! Thank you! I was surprised when they showed up out of nowhere. Thanks for letting me try them out! Oh I really like the topper! All those shapes!